What about a 4 gas cost but TG's and influence gained/lose was doubled too? I don't mind the mission cost because as you said yourself, you end up attacking a lot of times. I don't want to have to decide between completing challenges, outpost raiding, scavenging or doing the distance. As it stands I got to do all of those things. 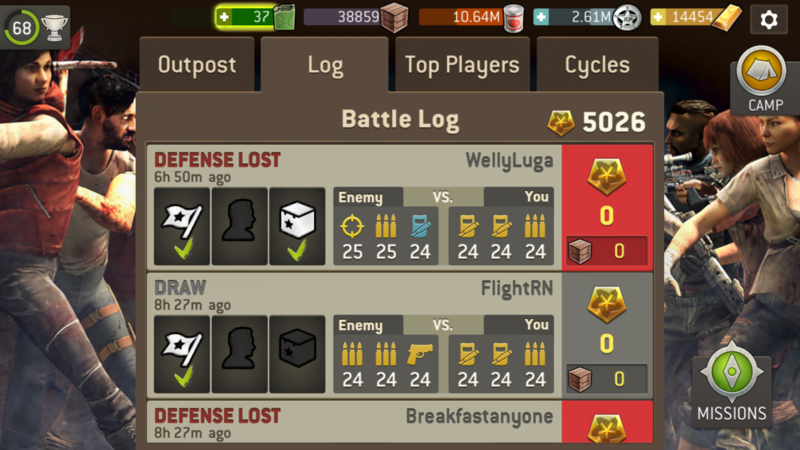 Isn't it honestly a real thrill to see 6-10 attacks against your outpost when you log in? You change the gas cost and that all but goes away. In my opinion you kill the outpost altogether. Hell, you admitted that you only play this game mode twice a week, I play it daily. To me the outpost is the most fun game type and because it only costs 2 gas I get to play it with and not over the other game modes. I play outpost daily as well and definitely don’t want to see the price of gas increase. Your suggestion isn’t considering leaderboard players. No, you can’t double gas and double influence. Why not apply the same concept to challenge maps then, pay twice the amount of gas and get double rewards? I don't understand how it wasn't. Instead of gaining 10 influence you would gain 20, it was just a suggestion but in my opinion playing outposts is incredibly time consuming compared to the other game modes. When compared to scavenges they take twice as long per mission for half the gas. Pushing to your limit in the challenge is gas consuming enough without it costing 10-12 gas per mission. I guess we just don’t agree. Pushing your limits in the outposts is also time consuming and increasing gas costs would not be a benefit anymore than increasing gas cost for challenge missions. I think it would actually be worse because you would also be doubling defensive IP losses. I understand that yours is just a suggestion, I just wouldn’t like it much if it actually happened. Though I also get why people would not want that. Can't comment on outpost since those are part of the "not played in forever" mission. Outpost needs a lot more tuning and gameplay changes that give it significance than just inflation of cost:reward. I think I suggested having defenders start charged years ago, but that means AI improvements that could become complex, quickly.